Don't worry! Just dump a bunch of your favorite ingredients in and let the pot perform magic! 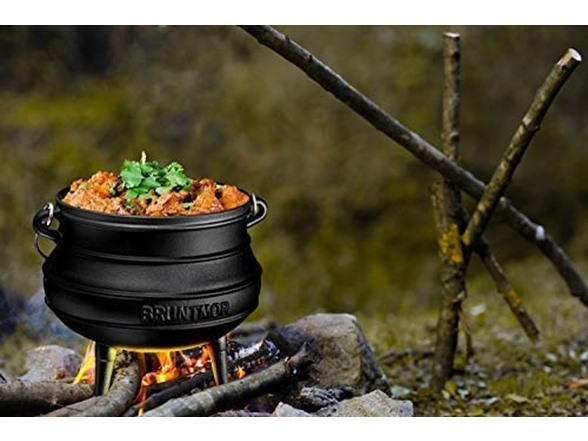 You can cook anything you like in a potjie! 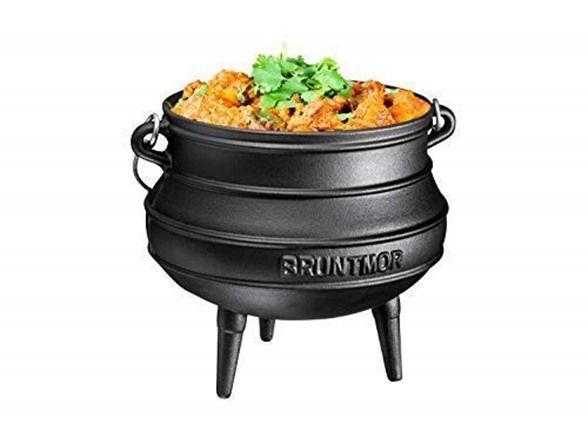 It heats up rapidly and it browns meat and vegetables very well. 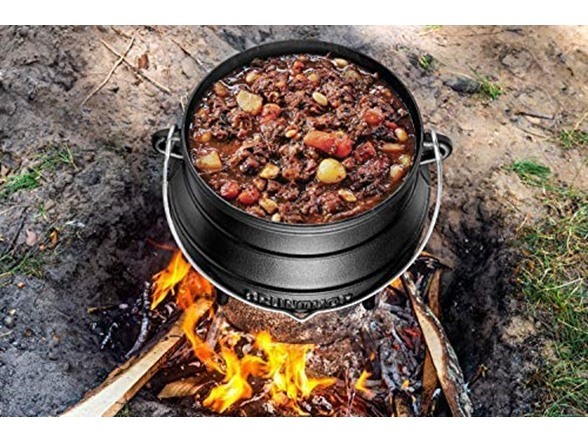 In South Africa, potjie cooking is a life-style. 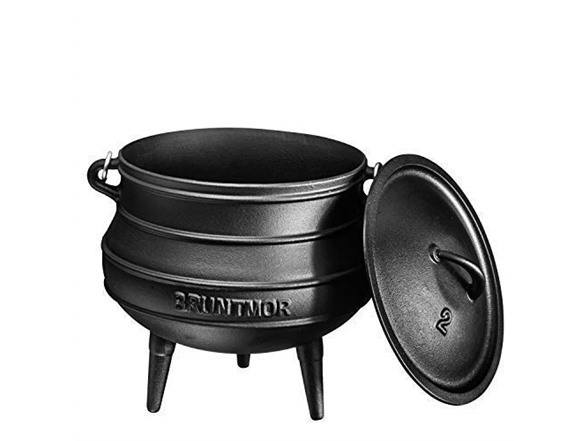 They even have competitions for making the best potjie! 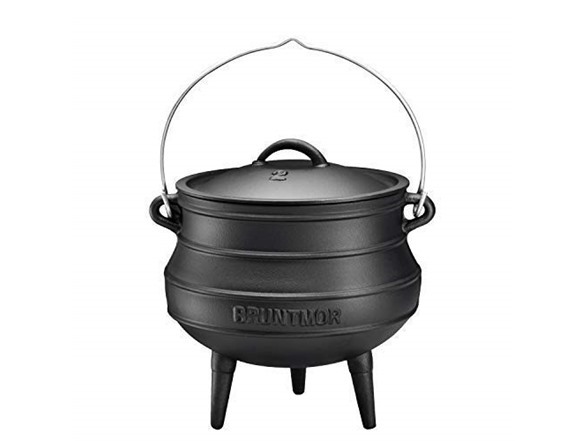 After every meal, rinse the pot with warm soapy water and then when finished, prepare your potjie for storage by coating the inside of the pot with a thin layer of fat or cooking oil to prevent rusting. Dimensions: 9" x 9" x 9.5"